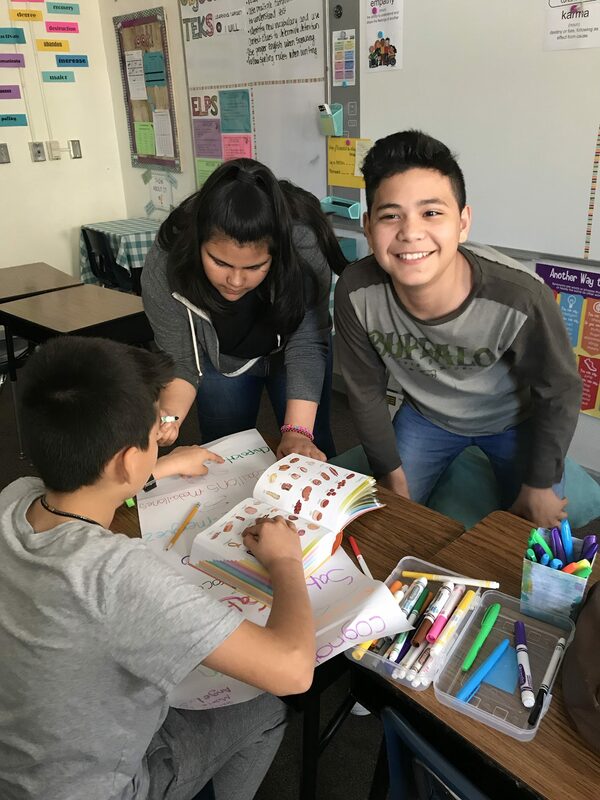 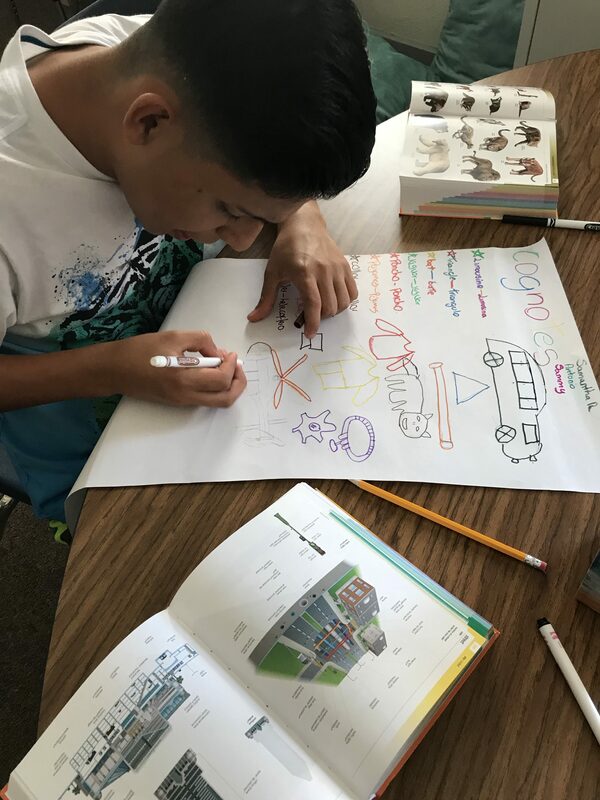 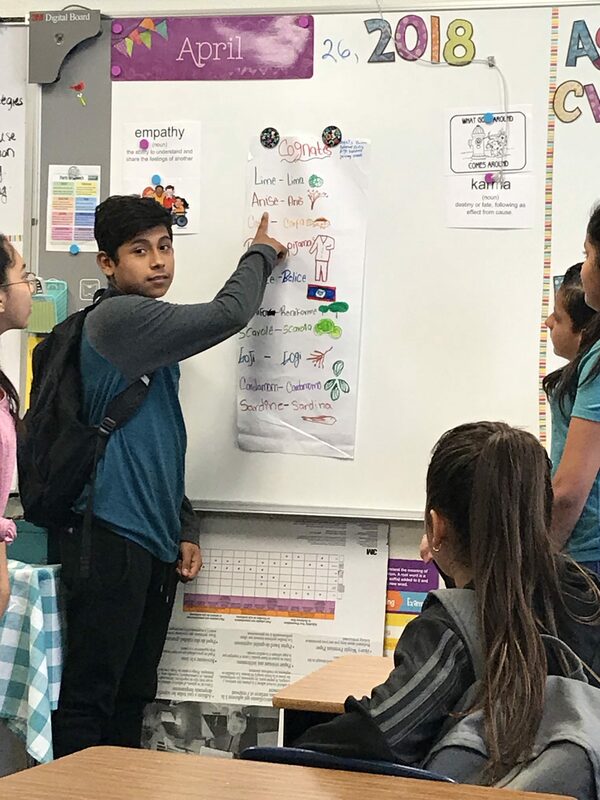 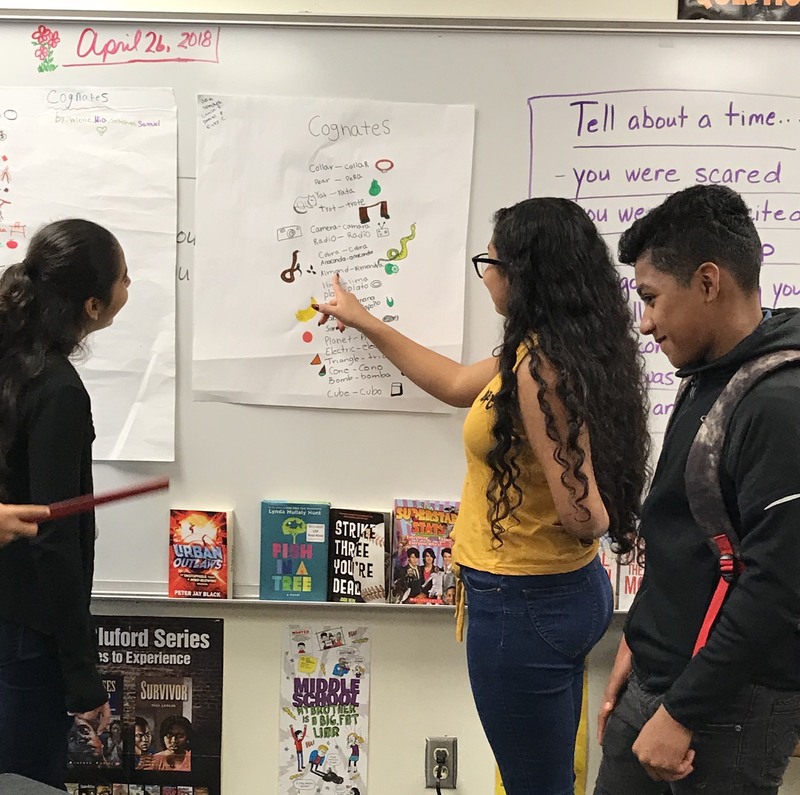 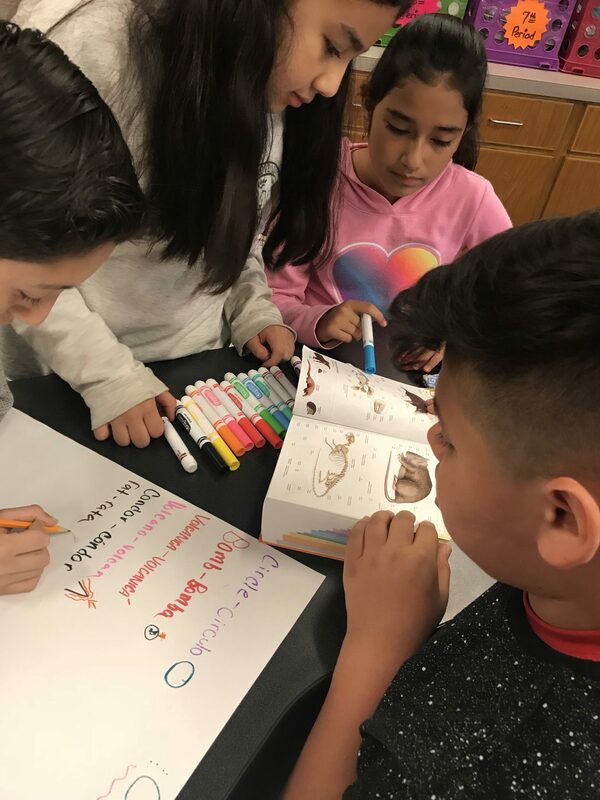 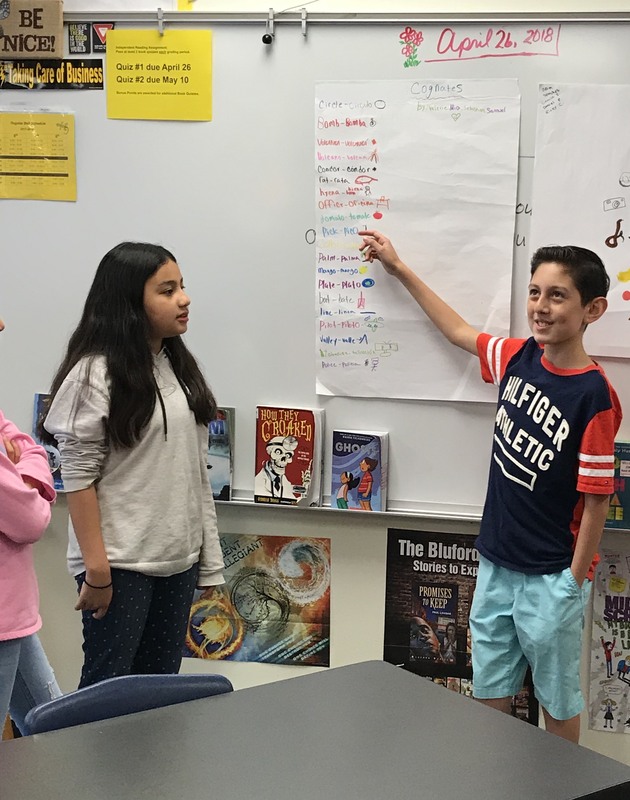 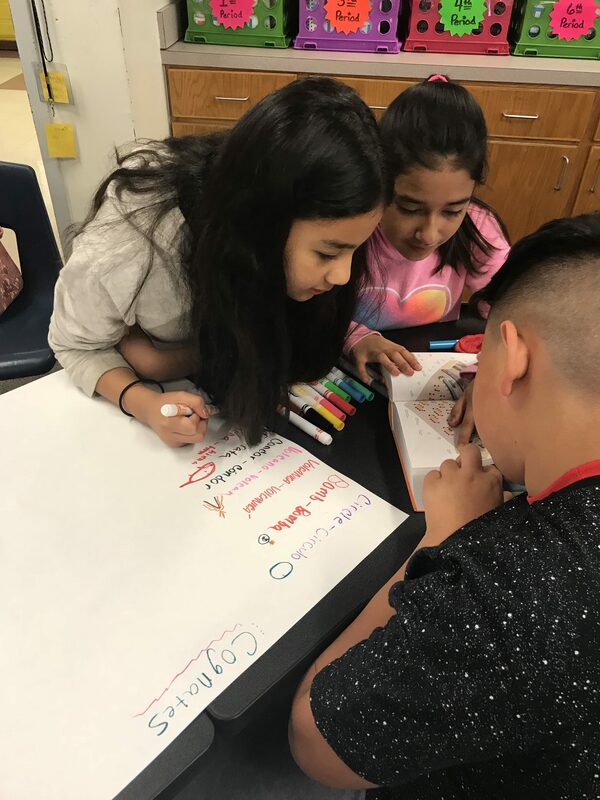 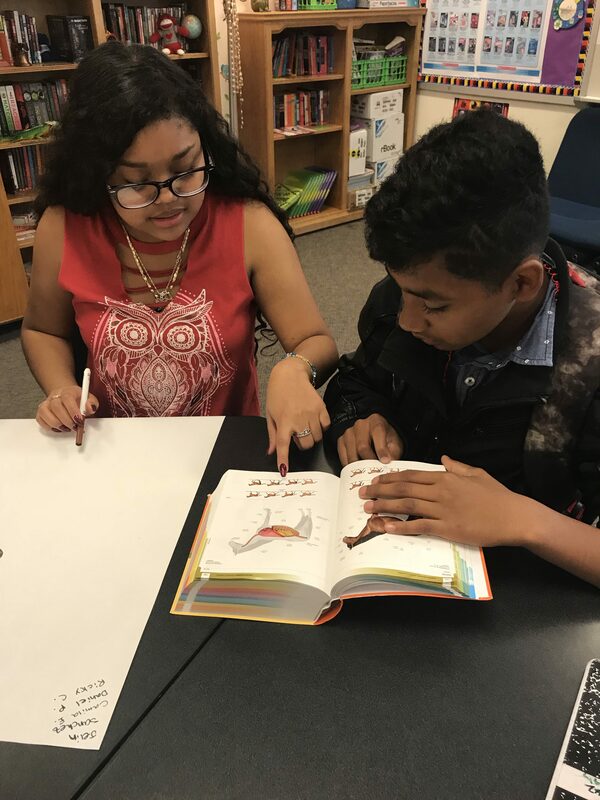 Ms. Reynolds’ ESL class identified cognates in English and Spanish to help students with comprehension of vocabulary this week. 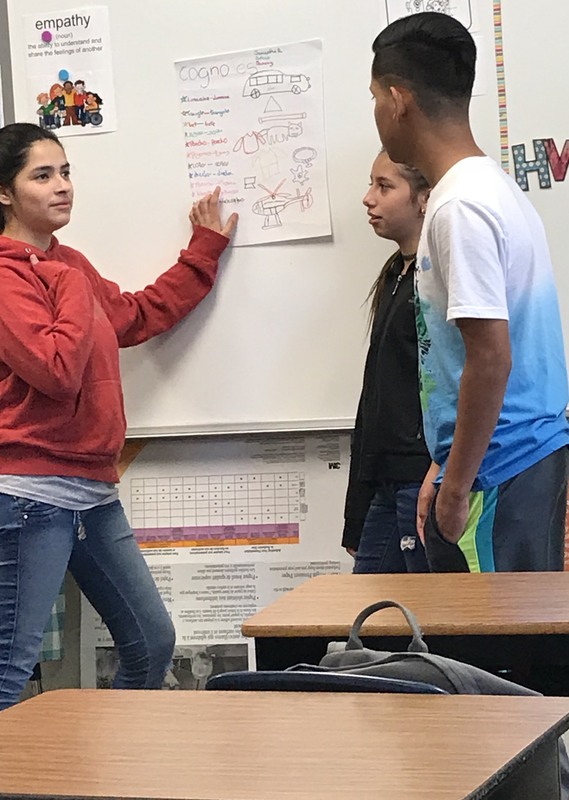 Students identified the words that look and sound similar in both languages. 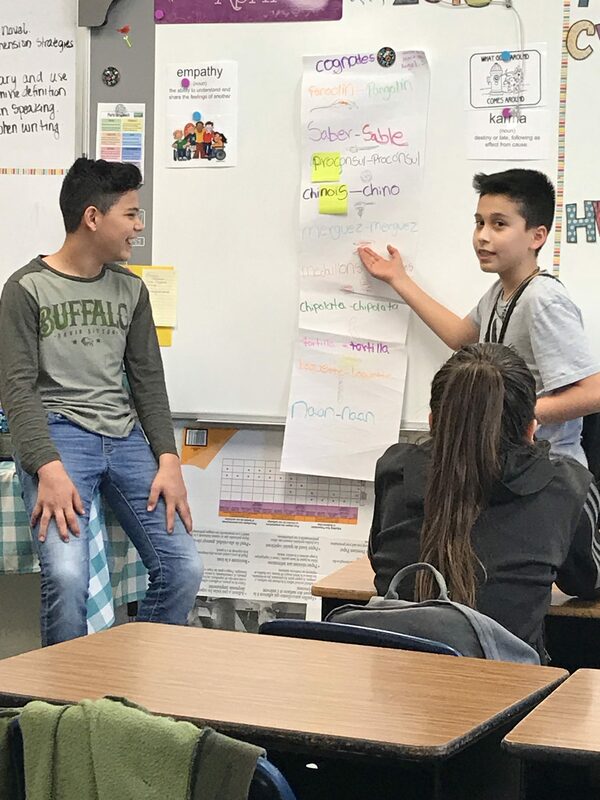 Students had to come up with their own cognates using the Spanish/English dictionary and present why they chose that pair as cognates.